Care Resource is presenting the 31st annual AIDS Walk Miami 5K (3.1 mile) walk-a-thon fundraiser on Sunday, April 28, 2019 at SoundScape Park located at 500 17th Street in Miami Beach, FL. Registration, check-in and opening ceremonies begin at 8:00 am. The walk begins at 9:00 am. dozens of booths with information about available medical and support resources and more. Walkers are encouraged to visit every station at the health fair. The fundraiser permits Care Resource and its food bank, Food For Life Network, to continue providing impact and critical help to the 17,000+ individuals annually who depend on its essential services: primary medical and dental care, HIV and STI testing, case management, counseling, prevention education, housing, food and nutritional assistance, and much more. Congresswoman Donna Shalala has been chosen to serve as Master of Ceremonies. Shalala represents Florida’s 27th Congressional District. She served as the United States Secretary of Health and Human Services under President Bill Clinton, was the president of the University of Miami and President of the Clinton Foundation. There are 44 new diagnosed cases for every 100,000 individuals living in our communities – that is 3 times the national average – Centers for Disease Control and Prevention (CDC). HIV/AIDS continues to affect South Florida as a serious health issue. At the end of 2017, there were 116,944 people with an HIV diagnosis living in Florida, and 4,949 new HIV diagnoses were made statewide. 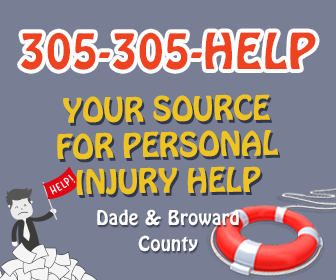 Care Resource is a 501(c)(3) nonprofit organization and a Federally Qualified Health Center (FQHC) with locations in Miami-Dade and Broward counties. Care Resource provides comprehensive primary medical and preventive care, including dental care, in-house pharmacy services, and behavioral health/substance abuse services to all individuals in South Florida’s diverse communities. For more information, please visit www.careresource.org, or call (305) 576-1234. Food For Life Network is a 501[c](3) non-profit organization that provides and delivers groceries, meals and nutritional education to eliminate malnutrition and starvation in men, women and children living with chronic illnesses in Miami-Dade County since 1987.